To interview for an executive-level position can be a once-in-a-lifetime opportunity. Certainly you want to do everything right, leaving the best possible impression in the room. Let’s have a look at what will happen in an interview, and how you can improve your chances of signing the coveted job contract. What will happen in an executive-level job interview? Question 1: What is your management philosophy? Question 4: Why did you leave your last job (why do you want to leave your present job)? Question 5: If we hire you for this job, what will be the first thing you do? You will likely meet a panel of high executives from the company. Or, in some other cases, you will shake your hand with the head of the HR department, or with the CEO of the company–neither is easy. Before you get a chance to talk to these people, however, you will have to pass several rounds of interviews. Typically a screening interview (over the phone, with an HR manager or HR generalist, or agency recruiter), a face to face interview (they will ask you mostly behavioral questions at this stage). What is more, you will have to pass personality testing (at least in some companies), and perhaps also some other written exams. Check the respective articles on Interview Penguin to understand how to prepare for screening and behavioral part of the interview process. In this post, however, we will focus on the final interview, the one with the decision makers. A good executive always has their philosophy of leading business. You should have your own way of doing things, of leading people, and managing the company. You should also have a clear vision of what you want to achieve on your position, and which direction you plan to take after they hire you for the job. This is the time to present your vision. Do it clearly, talk to the point, and show them that you have already thought about your new role in their company. Successes and failures belong to the life of an executive. You should show them that you take neither the first, nor the second, as something definite, that you can look at things from distance and make the best of everything that life throws at you. Try to emphasize the lessons you learned from your successes and failures, and how they helped you to become a better leader. 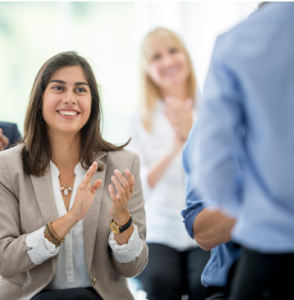 Show them how the projects you’ve worked on helped you to become the person you are today–with all your experience and skills. The key is to show your project management skills, and your ability to analyze the problems and suggest a plan of action. Analyze the situation, and prepare a simple plan of action. They will likely give you some time to prepare your answer. 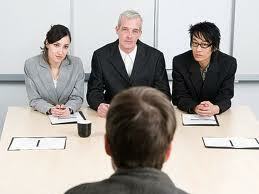 If you need more information, do not hesitate to start a discussion with the interviewing panel. Show them that you can think analytically, that you know how to set milestones, and how to address various problems. This is one of the most important question in an executive-level interview, since your ability to deal with it reflects your readiness for the job. I suggest you to avoid talking about a better salary, the one you will get in your new job. And you should not say that you want to leave becasue you seek a better team, or better boss. What you can say though is that you seek a new challenge, or that you believe you are in a stage of your career when you deserve the executive job, that you are ready to take the position. One way or another, try to focus on the future, not on the past. Another test of your attitude to work. Executive represents the company, but they are also bound to make decisions, the most important decisions actually. You can tell them that you will start with an analysis of company financial statements and cash flow, and talking to the managers from all departments, trying to understand the actual situation of the business. The interviewers will often discuss your experience with you. They will ask about various projects you competed before, especially the projects that somehow relate to their business. They will ask you about the challenges you faced, the results you achieved, and how you progressed on your way to achieving them. Some executives may actually ask you some behavioral questions, trying to understand how you handle conflicts, how you cope with stress, with meeting tight deadlines, with experiencing disappointment, etc. Get ready for them and avoid negative surprises in your interview. How to prepare for an interview with the CEO – Going to meet the CEO of the company? Learn what matters for the decision maker…. What are your salary expectations? – Not an easy question, especially in an executive-level interview. Learn how much you can ask for, and get what you deserve. Final Interview – Typically only a few shortlisted candidates are invited for a final interview. One of the executive will often lead this third (or forth) stage of the interview process. Learn what to expect, and what questions they will ask you. Follow-up letter after the interview – Advice on how to write a good letter (or email), with sample letters attached.